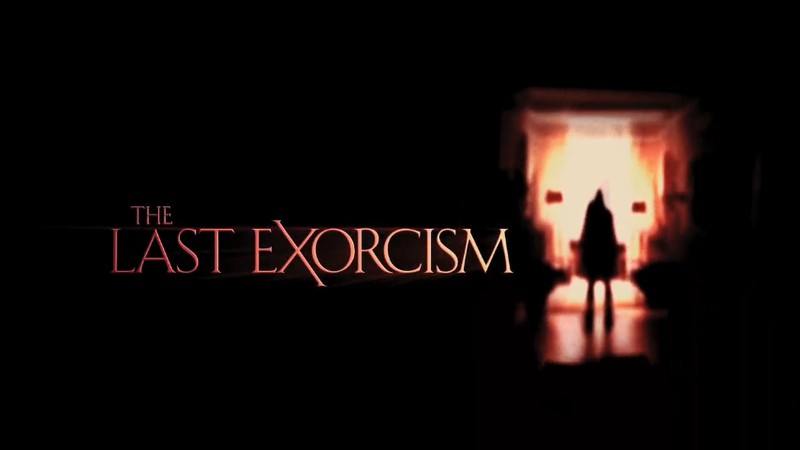 I haven't heard too much about "the Last Exorcism" until just recently but I know that months beforehand, it was originally titled "Co††on," named after Reverend Cotton Marcus, the exorcist in the film. 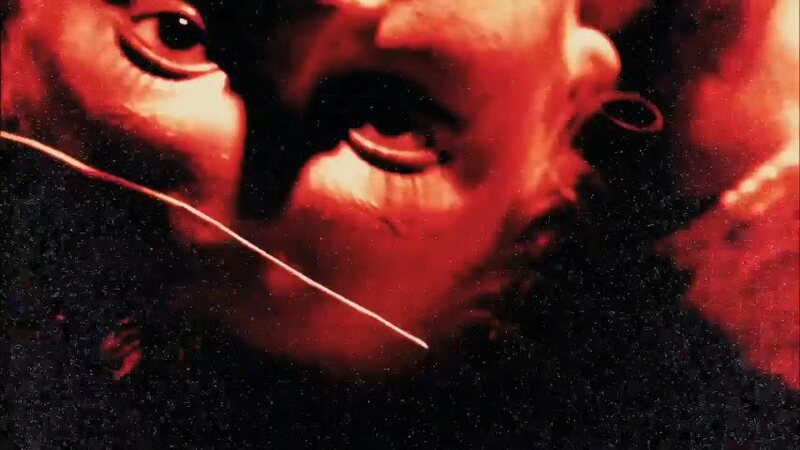 The film is shot in the way of such other mockumentary-horror films like "the Blair Witch Project" and "Quarantine." The synopsis from Wikipedia is as follows: "The film is told from the perspective of a disillusioned evangelical minister, who after years of performing exorcisms decides to participate in a documentary chronicling his last exorcism while exposing the fraud of his ministry. After receiving a letter from a farmer asking for help in driving out the devil, he meets the farmer's afflicted daughter." The tagline in the trailer and posters is "If you believe in God, then you must also believe in the Devil." Below are images I've taken directly from the official trailer. "Reverend Cottom Marcus has performed over 47 exorcisms. This will be his last (48 [4+8=12, 1+2=3]). Three is an important number in the occult and Freemasonry, as better explained below. 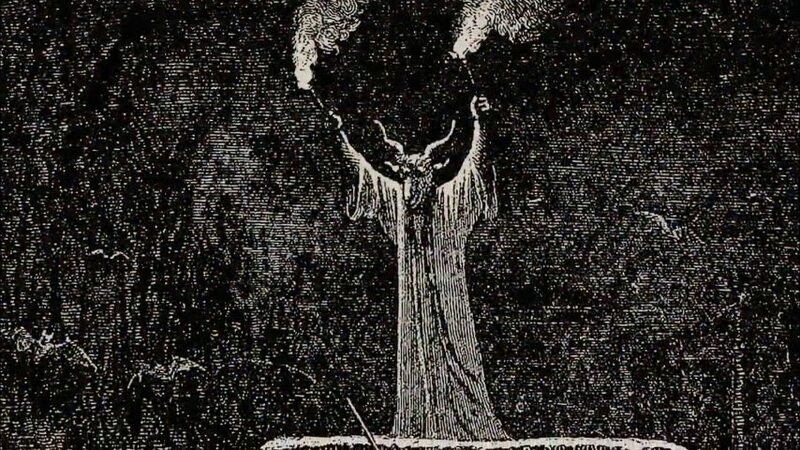 I assume this is Satan, as Lucifer was known as the Light Bearer but it could also be the Baphomet, as he is also associated with the torch. I'm not sure if this image is really from an actual book or rather, was made specifically for this film. If it was made for the film, it was probably made black and white to make it look authentic or because black and white is associated with the duality of man and the diversity of creation under the Great Architect, Lucifer. Bats are often linked to vampires/vampyres in folklore and in fact, the vampire bat is the only mammal known to drink blood, but only live in Central and South America--where they are associated with the Devil in some native cultures. While they do sometimes drink the blood of sleeping humans, they mostly they drink from sleeping animals and are known to spread disease such as rabies. In the East, bats are a symbol of good fortune but in Medieval Europe, they represented demons and spirits. The blood of bats was believed to be one of the ingredients in the flying ointments of witches and used in their magical charms and love potions. Bats have even been accused of being the alter egos of witches. In 1332, Lady Jacaume of Bayonne, France was publicly burned because crowds of bats were seen about her house and garden. In more modern times, beliefs from the Caribbean and the United States state that soaking ones eyes in bad blood will give you night vision. There are so many more myths and legends around the little mammal but you can read about them here: Bats in Magic, Potions and Medicinal Preparations. The door is black and white. A key to Nell's door, as it locks from the outside, possibly to keep her detained when she is possessed. Nell is taken from the names Ellen (Eleanor) and Helen. Helen is the English variation of the Greek Helene, as in Helen/Helene of Troy, the woman who launched a thousand ships and the start of the Trojan War. The name Helen was also known from the 4th century Saint Helena, mother of the Roman emperor Constantine, who supposedly found the True Cross of Christ during a trip to Jerusalem. The All-Seeing Eye of the Great Architect (Lucifer) or the Left Eye of Horus (called a wedjat) is everywhere it seems. From the back of our $1 bill, to Ancient Egyptian heiroglyphs, it has been used much throughout history and is one of the most recognizable symbols of negative occult associations. 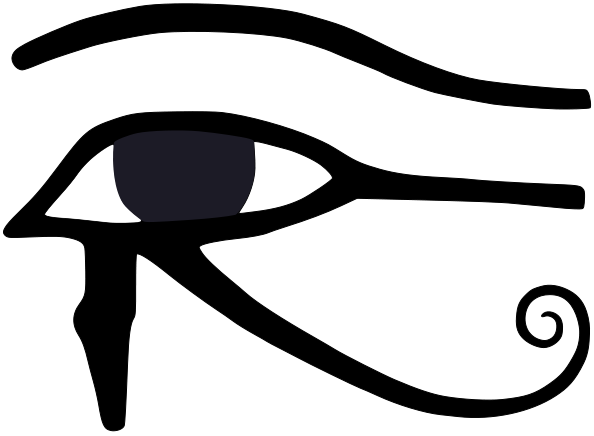 It is also known as the Eye of Ra, but is mostly associated with Horus. The legend surrounded Horus' left eye is that he and Seth, another Ancient Egyptian god, were at war with each other for the upper and lower parts of Egypt and Horus' left eye was injured in battle. 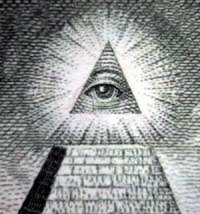 The All-Seeing Eye is used by many musicians, singers and actors who are believed to be Monarch slaves. A possessed Nell writhes on the ground; her neck distorts itself in a inhumanly manner. Left eye shown again. 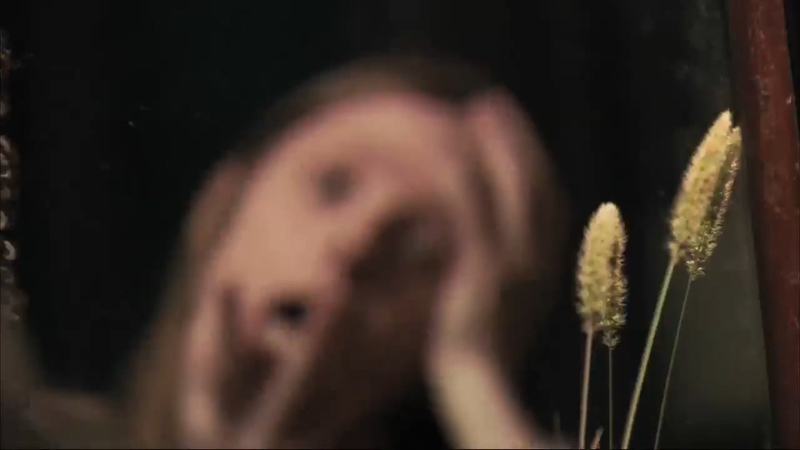 Third shot of a possessed Nell with the left eye shown again. Three lights/illuminated bulbs. Three is a very important number in Freemasonry. In the occult, three is the first sacred or perfect number as it represents the Pagan Trinity and also the Unholy Trinity. It is represented geometrically in the triangle and spiritually as the third eye/pineal gland. Practitioners of the occult multiply and add three to other sacred numbers to create new numbers (numerology). 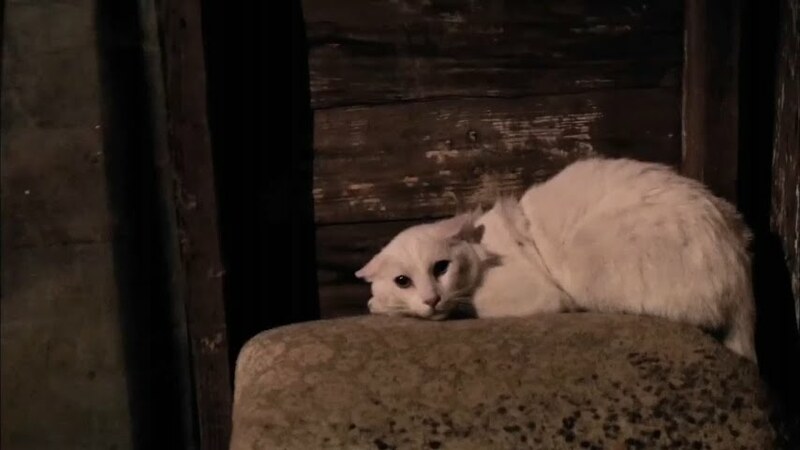 A white cat is afraid of the possessed Nell who tries to get it's attention but scares it away. Cats have been worshipped as far back as Ancient Egypt, where cats were first domesticated. They became associated with Egyptian gods, especially Isis and Bastet, the cat goddess. Mummified cats have been found throughout the archeological history of Egyptology, which shows the importance the Egyptians held in their beliefs. In folklore around the world, cats were said to repel evil spirits. The fear of cats is known as agoraphobia. Alexander the Great was said to have been afraid of cats. Possessed Nell's left eye is highlighted once more. Possessed Nell is chained, for her own protection and for the protection of the film crew. Nell's possessed, blurry reflection in the mirror. Mirrors are heavily used in the occult for scrying and are said to reflect one's soul. 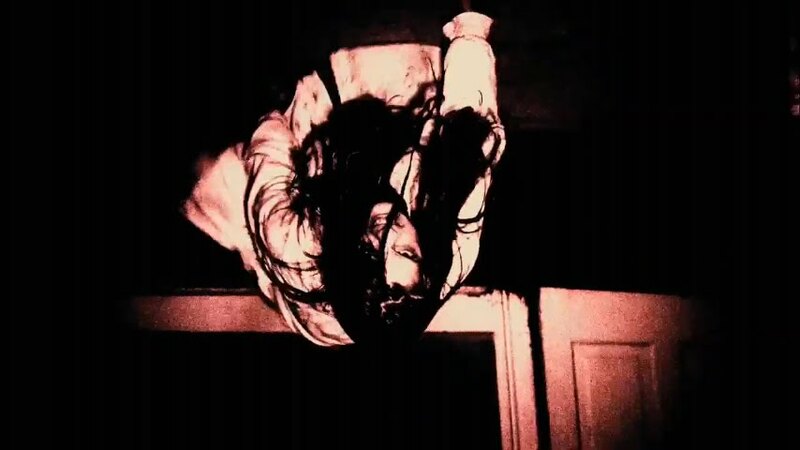 Possessed Nell is crawling along the ceiling. 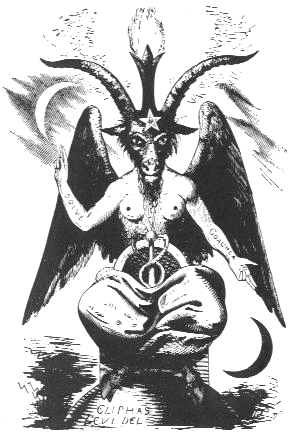 The image is red, black and white--classic occult colors. Obviously, no one is able to crawl on the ceilings, possessed or not. 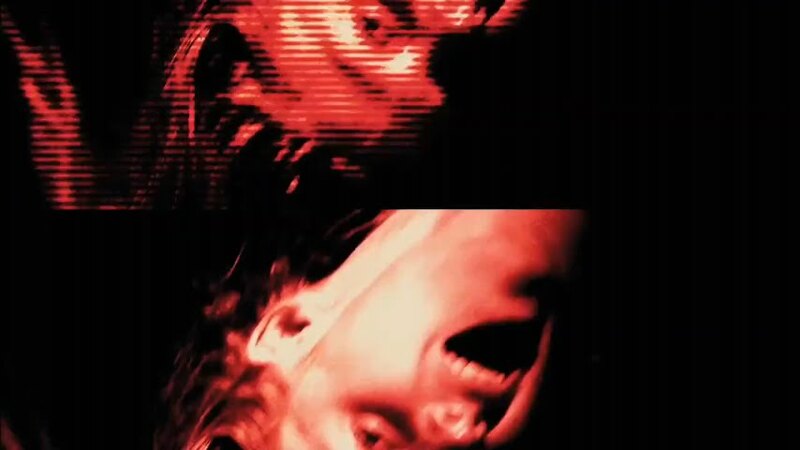 This image was created with actress Ashley Bell, crawling along the floor and reversed vertically. When the image is reversed back to the original image, you see that her right eye is covered, leaving her left eye visible once again. Reverend Cotton Marcus is trying to exorcise Nell. His left eye is visible. Possessed Nell breaks her own left ring finger. Possessed Nell reacts to exorcism, covers her ears and screams. Her left eye is visible once again. 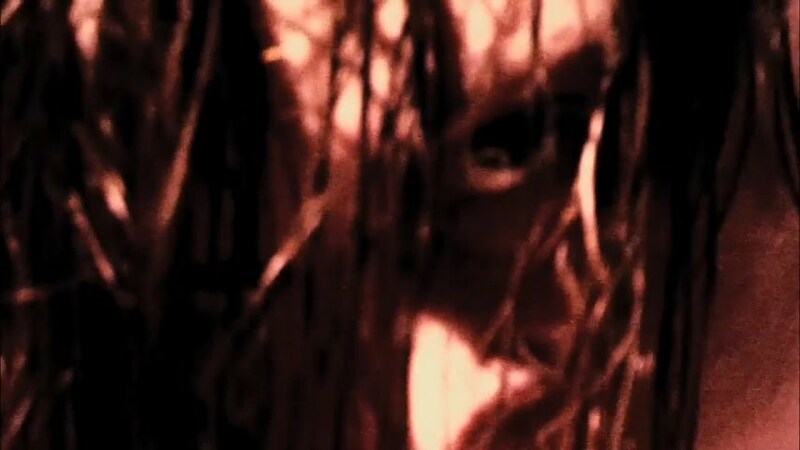 Louis Sweetzer, Nell's father looks at his demon possessed daughter in horror. His left eye is visible. 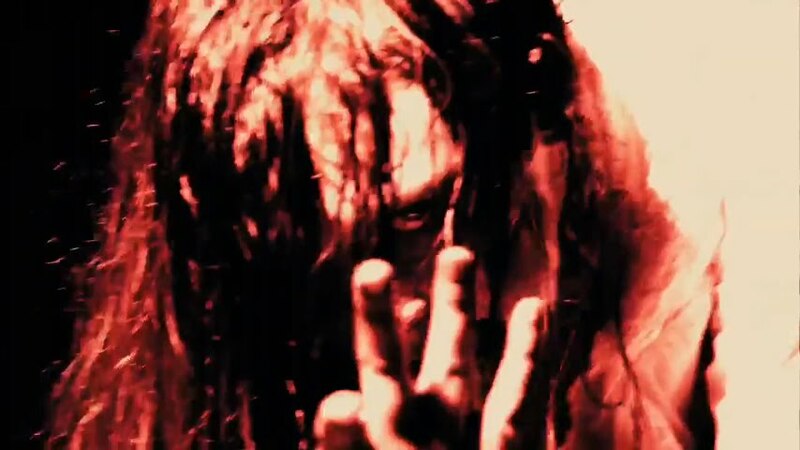 Possessed Nell holds up three fingers. Red, black and white colors used again. Possessed Nell screams during exorcism. Reverend Cotton Marcus performs exorcism on Nell. Huge flame almost engulfs her as he holds up crucifix. Notice the upside-down pentagram below the table Nell is on. 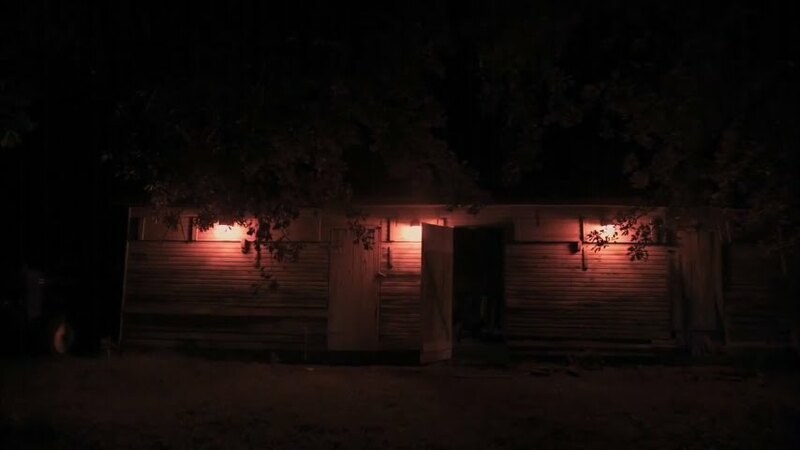 You can barely see it in the trailer but it is there. Possessed Nell defies human biology and bends herself backwards. Again, shown in occult colors. The last shot of Nell focuses again on her left eye as her right eye is lost in the contrast. In total, there are eight shots of Nell's left eye and one shot each of her father and Reverend Cotton's left eyes. It can't just be coincidence that there are ten appearances of their left eyes. Being a film about demonic possession, the Devil and the fight between good and evil (duality reference), I expected all of this obvious negative symbolism. I'm sure I'll get around to seeing the film but I mean, what can we expect that we haven't already seen in "the Exorcist," right?